June is National Dairy Month. There are over 2,500 dairy farms in Ohio and West Virginia. These hardworking dairy families work around-the-clock to produce safe, high quality milk. Let’s take the time this month to honor these families that provide us with milk and dairy foods. The American Dairy Association Mideast is having Farmer Fridays on Facebook during the month of June. Every Friday at noon you can watch them go live from a different Ohio dairy farm. They will tour the farm so you can see what goes on behind the scenes. Dairy products provide us with calcium, potassium, Vitamin D, and protein. They can reduce the risk of osteoporosis, cardiovascular disease, and Type 2 diabetes. Dairy products can help lower blood pressure and of course, they are good for bones. When selecting dairy products look for low-fat or fat-free varieties. A serving size of 3 cups is recommended for anyone over the age of nine. Check this list to find what the equivalent is for 1 cup of dairy. 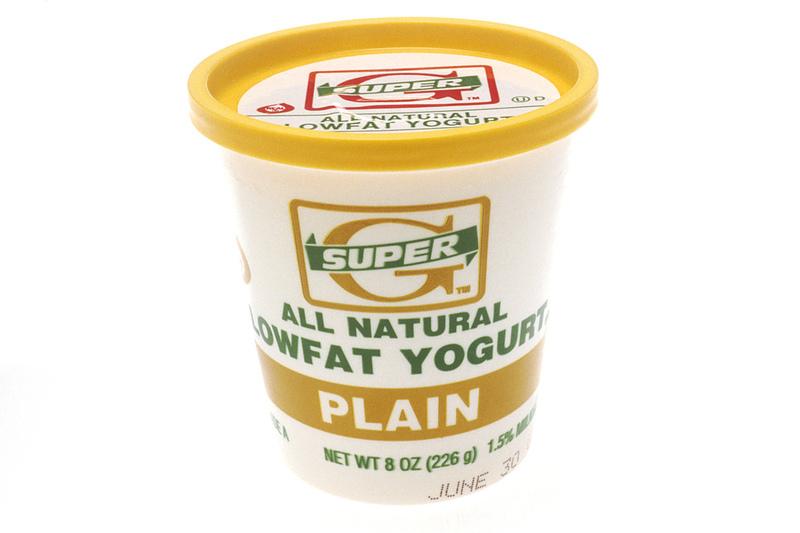 One dairy product I would like to highlight that isn’t consumed enough is plain, nonfat Greek yogurt. All yogurts provide us with calcium, potassium, protein, zinc, and vitamins B6 and B12. However, Greek yogurt is thicker, creamier, lower in lactose, contains probiotic cultures, and has twice the amount of protein! Since there is more protein in Greek yogurt, it helps keep you feeling full longer which helps with weight control. What’s your favorite way to eat plain, nonfat Greek yogurt? Keep in mind that high sun exposure can increase risks for skin cancer. Sun screen and protective clothing/hats are recommended for protection from the sun, even though reduced sun exposure may inhibit the body from producing Vitamin D as quickly. In the fast-paced world we live in today, the average American does not consistently get exposure to the amount of sunlight needed to produce optimal levels of Vitamin D. If you suspect you’re not getting enough sun exposure for your body to produce Vitamin D, you can get vitamin D through diet and supplementation. The recommended dietary allowance (i.e. the average daily intake sufficient to meet the nutrient requirements of nearly all healthy people) is 600 IU. Foods high in Vitamin D include milk (120 IU per 8 ounce serving), salmon (450 IU per 3 ounce serving), canned tuna (150 IU per 3 ounce serving) and fortified orange juice (140 IU per 8 ounce serving). According to the Vitamin D Council, Vitamin D toxicity can occur, but it is rare and unlikely: for example, a person would need to take a daily dose of 40,000 IU for a couple of months or longer to experience toxicity, or take a very large one-time dose such as 70,000 + IU. If you’re concerned about Vitamin D deficiency or toxicity, ask your doctor to test the level in your body. Brinkman, P. (2016). Keeping Sun Safe. Ohioline. http://ohioline.osu.edu/factsheet/hsc-7. National Institutes of Health: Office of Dietary Supplements (2016). 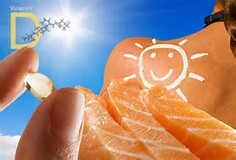 Vitamin D. https://ods.od.nih.gov/factsheets/VitaminD-HealthProfessional/. Vitamin D Council (2017). About Vitamin D. https://ods.od.nih.gov/factsheets/VitaminD-HealthProfessional/. Choosing the Right Yogurt: Which Type Makes Sense for You? If you are like a lot of people, you’ve probably spent some time standing in front of the yogurt section of the dairy aisle, wondering what kind of yogurt to purchase. There are so many options to choose from that it can literally feel a little overwhelming. How is Greek yogurt different from regular yogurt? Is it worth the extra expense? Let’s take a look. Both yogurts contain two primary ingredients–milk and bacterial cultures. The bacteria ferment the lactose (milk sugar) in the milk, producing lactic acid. After fermentation is complete, the liquid “whey” is strained off the solid yogurt. Regular yogurt is strained twice, leaving a little liquid in the end product (which is what you see accumulated on the top of your yogurt when you remove the lid). Greek yogurt is strained three times, removing most of the liquid. That extra straining is what gives Greek yogurt a thicker consistency (and stronger flavor) compared to regular yogurt. Because so much liquid volume is lost through that third straining it takes about four cups of raw milk to produce one cup of Greek yogurt. In comparison, it only takes one cup of raw milk to make a cup of regular yogurt, which helps explain the higher cost associated with Greek yogurt. PROTEIN: A typical 6-ounce Greek yogurt has 15 to 20 grams, which is the same as 2-3 ounces of lean meat. Regular yogurt provides about 9 grams. FAT: There’s fat in yogurt? Yes, depending on the type of milk used. Full-fat Greek yogurt packs 16 grams of saturated fat—or 80 percent of your total daily allowance in a 7 ounce container. Regular full-fat yogurt has 5 grams of saturated fat in an 8-ounce serving. If you’re going Greek, stick to low-fat and fat-free versions. SODIUM: Greek yogurt is much lower in sodium than regular yogurt, making it a healthier choice if you’re watching your salt intake. One cup of Greek yogurt contains 65 mg of salt, while the same size cup of regular yogurt contains 159 mg of salt. CALCIUM: Regular yogurt provides 30 percent of the federal government’s recommended daily amount. A 6-ounce cup of Greek yogurt typically supplies about 20 percent of the daily recommendation. SUGAR: Sugar content is usually higher in regular yogurt, but much depends on additional ingredients added such as fruit and/or granola-type toppings. Yogurt is an important probiotic, adding live bacterial strains to your colon that enhance and support your microbiome. No matter which type you choose, your body wins from that perspective alone. But experiment with the different types and flavors until you find one that fits both your nutritional and taste criteria. Writer: Marie Economos, Extension Educator, Family and Consumer Sciences, Ohio State University Extension, Trumbull County. You’ve probably noticed the recent increase in fermented foods found in the Natural Food section of your favorite grocery store. Specialty shops are brimming with expensive gourmet food items such as organic yogurt, kefir, kombucha, and kimchi touting the benefit of fermented foods. Categorized as “probiotics”, these foods contain live active cultures that are beneficial for health. But did you know that all foods containing non-digestible carbohydrates are actually fermented in the body and produce similar health benefits? These foods contain fibers that are fermentable in the colon and are categorized as “prebiotics”, offering health benefits similar to those provided by probiotics. These foods are commonly found in most households and include beans, bananas, wheat bran, asparagus, unrefined oats, and barley. Although fermented foods have been around for centuries, scientists have renewed interest in the impact on health of a diet which includes a combination of prebiotics and probiotics. While some individuals may have difficulty digesting certain foods containing non-digestible carbohydrates, studies have shown that people who maintain a healthy gut through diet may have a stronger immune system, reduction in colorectal cancer, and improved bowel function. So what can you do to ensure you eat the right foods to maintain a healthy gut without spending a fortune? Try cooking with dried beans. Soak beans before cooking, changing the water once or twice while they soak. Use fresh water for cooking the beans and rinse after cooking. Try soups and side dishes filled with a good amount of prebiotics including asparagus, onion, jicama, Jerusalem artichoke, sliced berries and bananas. Enjoy products made with 100% whole wheat flour. Sprinkle raw wheat bran on cereals and in soups or stews. Preserving intestinal well-being starts with a balance of intestinal flora. By eating a diet rich in pre- and probiotics, you’ll feed the intestinal microbiota that help maintain a healthy gut. Written by: Jennifer Even, MEd, RD, LD, Extension Educator, OSU Extension, Hamilton County. Reviewed by: Cheryl Spires, RD, LD, SNAP-Ed Program Specialist, Ohio State University Extension, West Region. My Dad used to tease us, as children, with the famous line, “I scream, you scream, we all scream for ice cream!” Well, now is the time to enjoy! What’s YOUR favorite flavor? I often wondered, where did that phrase come from, anyway? According to Stanford University, “Ice Cream” or “I Scream, You Scream, We All Scream for Ice Cream” is a popular song, first published in 1927, with words and music by Howard Johnson, Billy Moll, and Robert King. After initial success as a late 1920s novelty song, the tune became a traditional jazz standard, while the lyrics refrain “I Scream, You Scream, We All Scream for Ice Cream” has remained a part of popular culture even without the rest of the song. I love making ice cream at home! It is delicious and I sometimes feel it is becoming a lost art and a lost pleasure. But, every year homemade ice cream causes several outbreaks of Salmonella infection with up to several hundred victims at church picnics, family reunions, and other large gatherings. From 1996 to 2000 (the latest year for which surveillance was completed), 17 outbreaks resulting in more than 500 illnesses in the United States were traced to Salmonella bacteria in homemade ice cream, according to the Centers for Disease Control and Prevention (CDC). The ingredient responsible for the outbreaks is raw or undercooked eggs. Start with a cooked egg base for ice cream. This is especially important if you’re serving people at high risk for foodborne infections: infants, older adults, pregnant women, and those with weakened immune systems. Cook the mixture gently to an internal temperature of 160 degrees F, stirring constantly. The cooking will destroy Salmonella, if present. Use a food thermometer to check the temperature of the mixture. At this temperature, the mixture will firmly coat a metal spoon (but please don’t lick the spoon if the custard is not fully cooked!). After cooking, chill the mixture before adding other ingredients and freezing. 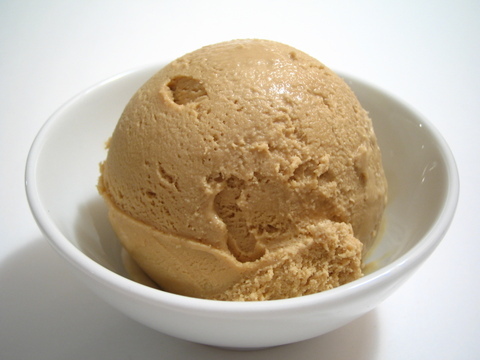 You can also use egg substitute products or pasteurized eggs in your ice cream, or you can find a recipe without eggs. With the egg substitute products, you might have to experiment a bit with the recipe to figure out the right amount to add for the best flavor. Pasteurized eggs can be substituted in recipes that call for uncooked eggs. Commercial pasteurization of eggs is a heat process at low temperatures that destroys any Salmonella that might be present, without having a noticeable effect on flavor or nutritional content. These are available at some supermarkets for a slightly higher cost per dozen. Even if you’re using pasteurized eggs for your ice cream, both the FDA and the USDA recommend starting with a cooked egg base for optimal safety. So, by following these safe handling and proper cooking practices, you can enjoy refreshing, tasty homemade ice cream without worrying about making anyone sick! Fun facts: Ice cream innovations from Ohio State University! 1921 – When chocolate sticks to ice cream…Melvin De Groote, an Ohio State chemical engineering alum, held 925 patents at the time of his death—second to only Thomas Edison. Among his many achievements is the invention of the chemical recipe that allows chocolate to stick to ice cream, leading to the Eskimo Pie. 1978 – The drumstick was perfected – Food science professors John Lindamood and Poul Hansen wanted to keep the ice cream in the frozen treat from making the cone soggy. So they developed a way to coat the inside of the cone with chocolate. Celebrate National Ice Cream Month with your favorite flavor! Written by: Kathryn K Dodrill, Extension Educator, The Ohio State University Extension, Washington County. Reviewed by: Lisa Barlage, Extension Educator, The Ohio State University Extension, Ross County. In our efforts to improve nutrition and choose “healthy foods”, it can sometimes be a challenge to know what is healthy and what is not. One measure of how a food fits in to your efforts to “eat healthy” is to look at how many important nutrients the food provides for the amount of calories it delivers. Our best bet is to choose foods that deliver the most nutrients – protein, vitamins and minerals – for the fewest calories. Avoiding empty calories is also a good goal. Low-fat dairy foods can be an important part of this plan. Dairy products that have some or all of the fat removed still contain all of the “good” nutrients we want. Together, low-fat and fat-free milk, cheese and yogurt provide a unique package of nine essential nutrients that improve overall diet quality and promote good health. The 2010 Dietary Guidelines for Americans recognize that milk and milk products are linked to improved bone health, especially in children and teens, and a reduced risk of cardiovascular disease, type 2 diabetes and high blood pressure in adults. Milk is the number one food source, in terms of consumption, for three of the four nutrients the DGA identified as lacking in the American diet – calcium, vitamin D and potassium. According to the DGA, individuals who consume milk at an early age are more likely to do so as adults, so it is especially important to establish in young children the habit of drinking milk. Current evidence indicates intake of milk and milk products is linked to improved bone health, especially in children and adolescents. For women, around 40 percent of initial bone mass is achieved in the first 20 years of life, underscoring the importance of early bone development and health. • Lean meat, skinless poultry, fish, eggs, beans and nuts. • Osteoporosis – Dairy’s nutrients are vital to the development of strong bones thus reducing the risk for developing osteoporosis. • Healthy Weight – Milk and dairy foods may also play a positive role in maintaining a healthy weight. • Healthy Blood Pressure – Three minerals found in dairy foods – calcium, potassium and magnesium – may play an important role in maintaining healthy blood pressure. • Cardiometabolic syndrome, Cardiovascular disease, type 2 Diabetes – Current evidence indicates that the consumption of dairy foods is associated with a reduced risk of Cardiometabolic syndrome – a cluster of metabolic abnormalities that increases the risk of cardiovascular disease – and type 2 Diabetes. Author: Polly Loy, Family and Consumer Sciences Extension Educator, Ohio State University Extension, Belmont County, Buckeye Hills EERA. References: Dairy Foods and Nutrition Fact Sheet, Midwest Dairy Council, http://www.midwestdairy.com, March 2012. Back to School – Back to Packing Lunches! Children will soon be returning to school and to the routines that the school year brings. For many families, this means back to the routine of packing a lunch each day. We want to make sure that the lunches we pack are healthy, safe and delicious! For a healthy lunch, keep in mind the MyPlate guidance. Check out Choosemyplate.gov . One of the main messages of MyPlate is to make half of your plate fruits and vegetables. This is something relatively easy to accomplish in a lunch you pack yourself. For example, pack a whole fruit like an apple, banana, or a bunch of grapes. You can also add an individual container of applesauce or a variety of different fruits that are packed in natural juice. For vegetables, most children like baby carrots especially if you include a small container of low-fat dip! Other veggie favorites are cucumber, broccoli, cauliflower and peppers or even a small salad. Another message from MyPlate is to make at least half of the grains you eat during the day whole grains. Use whole grain bread for the sandwich you pack, try pretzels for a snack instead of potato chips. Whole grain crackers spread with peanut butter or eaten with slices of cheese are a great addition to a healthy lunch. MyPlate recommends that we consume low fat or fat free dairy products. Most schools make fresh, low fat milk available for children in the lunchroom. The calcium provided by milk is very important to children’s developing bones. If your child is not a milk drinker, you can pack yogurt, cottage cheese, string cheese or sliced cheese to help them get the calcium they need each day. You don’t want to forget the protein group. There are a variety of foods that we can choose from to meet the need for protein in our lunch. If you choose meat, make sure that it is lean. Turkey or lean beef are good choices. Other non-meat sources include eggs, peanut butter, beans, nuts, seeds and soy products. To pack a safe lunch, remember that any perishable food you pack needs to be kept below 40° to stay safe. You can accomplish this in a variety of ways. Use an insulated lunch bag with a frozen ice pack. Freeze the sandwich, a juice box or yogurt container and pack it in the lunch bag to keep everything safe. By the time lunch rolls around, the sandwich, juice or yogurt should be thawed! You also want to be careful about cross-contamination. This can happen if you are reusing paper or plastic bags or if you don’t remember to wash out the reusable bag each day. Remind your child to discard wrappers and leftover food as soon as they finish their lunch. Don’t forget the importance of hand washing to prevent the spread of bacteria. If your child won’t have access to warm water and soap before eating, it wouldn’t hurt to put a disposable hand wipe at the top of the lunch bag! A delicious lunch may not be something that you and your child will necessarily agree on. Be sure and ask them for ideas for a healthy, safe lunch that they would like to eat. Don’t fall into the peanut butter and jelly every day trap! You might ask your child to help make a list of healthy foods from each section of MyPlate and use that list to vary what is packed each day. By allowing your child to help plan and pack their own lunch, you are providing an opportunity to talk about making healthy food choices. Encouraging them to make a choice from each of the food groups every day may increase the odds that they will actually eat the lunch that is packed and help them develop good eating habits for life. Reviewer: Elizabeth Smith, R.D., L.D. Northeast Region Program Specialist, SNAP-Ed, Family and Consumer Sciences, Ohio State University Extension.